Fashion Over 50 Blogs List. Fashion Over Fifty newsletter is a comprehensive summary of the day's most important blog posts and news articles from the best Fashion Over Fifty websites on the web, and delivered to your email inbox each morning. To subscribe, simply provide us with your email address. Los Angeles, CA. About Blog My Mission is to help every woman feel her inner and outer beauty no matter what her age. It's never too late for fulfill your dreams!!! Littleton, Colorado About Blog My goal for the blog is Women Over 50 Inspiring Style for Many Sizes & Budgets. I’d love to inspire style for women of many ages, sizes and budgets. Just because your driver’s license says a certain number does not mean that you can’t continue looking fabulous! Facebook fans 1,220. Twitter followers 3,268. San Francisco About Blog Privilege can teach you what color shoes to wear with navy blue, nothing beats the privilege of being alive. So let's talk style, in the context of culture. Let's focus on the over-50. Facebook fans n/a. Twitter followers 3,631. Dallas, TX About Blog Cathy is a Dallas fashion and lifestyle blogger focusing on women over 40. Facebook fans 5,500. Twitter followers 1,477. Facebook fans 2,569. Twitter followers 1,405. About Blog My name is Krystyna Bałakier and I am a woman 50 . I am a Wrocław stylist and blogger. On my blog I want to show fashion for women 50 , to make them aware that even at their age they can dress up in a modern way and through appropriate clothing to overcome certain shortcomings of the figure. About Blog Fashion & Lifestyle Blog for Women 50plus. Facebook fans 415. Twitter followers n/a. San Francisco Bay Area About Blog Fashion and Style Expertise for the Modern Woman. I encourage women over 50 to catapult themselves out of their ruts and enjoy their beauty and style. Facebook fans 2,481. Twitter followers 1,106. About Blog I also love fashion and style. I celebrated my 63nd birthday and I feel it’s important for women to keep up with fitness and fashion no matter what age we are. I believe staying young and fashionable over 50 and beyond. Ireland About Blog Over The Hilda is my personal blog where I post my beauty finds, fashion for the older woman, tips for health and well-being. Facebook fans 1,040. Twitter followers 201. Chicago, IL; Tucson AZ About Blog FTF was created by 3 life-long friends who love to follow fashion. ur mission is to create an online community where friends come together to find clothing options, outfits that are on trend, flattering, age appropriate and minimize problem areas. Facebook fans 667. Twitter followers 20. Atlanta, Georgia About Blog Over 50 Fashion and Lifestyle Blog created by Robin LaMonte for women over 50. Robin shares her fashion, lifestyle and travel adventures with her followers as she embraces midlife at full throttle. Facebook fans 557. Twitter followers 18. About Blog A style for the Mutton Years attempts to find me, sometimes failing miserably, mostly failing. About Blog Hi, my name is Nancy. I am a 50 Dutch personal style blogger. On my blog I like to write about fashion, and all the things that we women like. Every Friday I host the Fancy Friday linkup and every first Tuesday of the month I present you the Styled By….. series. Facebook fans 1,075. Twitter followers 791. Ohio About Blog I am a 52 year old wife, mother, grandmother living in Toledo, Ohio. Stylin' Granny Mama is my personal style blog where I share my fashion ideas and style tips for women over 50. Massachusetts About Blog Modern style inspiration for midlife women who are determined to do away with frumpy. Facebook fans 2,474. Twitter followers 1,518. East Coast, USA About Blog Hi, I'm Nan Mac and this is my Golden, Uncle Bob. Welcome to our little portion of the internet. Iron Feather Tea is Art and Fashion on either side of 50. Innovative. Original. Offbeat. Women with iron spines, feathers in their soul, and tea for you and me. Facebook fans 119. Twitter followers 116. Greenville, SC About Blog A Fashion, Beauty & Travel Lifestyle Blog. The blog also features latest must-haves and Fashion tips for women over 50. Facebook fans 1,315. Twitter followers 5. About Blog I am Neti. Welcome to Madam Too Much, formerly known as Kurves. A Lifestyle Blog featuring Positive Aging and all the Humor that Lifes throws my way. About - Chicatanyage is a fashion resource for women over 50 who want to learn more about style, fashion and what will suit them as mature women. Let us continue to enjoy fashion be stylish and chic at any age. About - Tired of trawling the high street? Tired of wasting time searching endless websites? Now you don’t have to! You will find all your fashion and beauty needs on SoSensational, where we edit all the fashion for women over 50. Find well-known brands and discover smaller boutiques. See style advice and tips on how to wear it especially for the over-50 woman. About - Fifty & Fab is all about my journey into and through my fifties, I share fashion, beauty, lifestyle and exercise/nutrition tips to inspire others to be fifty and fab too. About - Hello! I'm Michelle, a 50 Plus Lifestyle Blogger. I share tips on ageing with attitude, self-development, health and style. 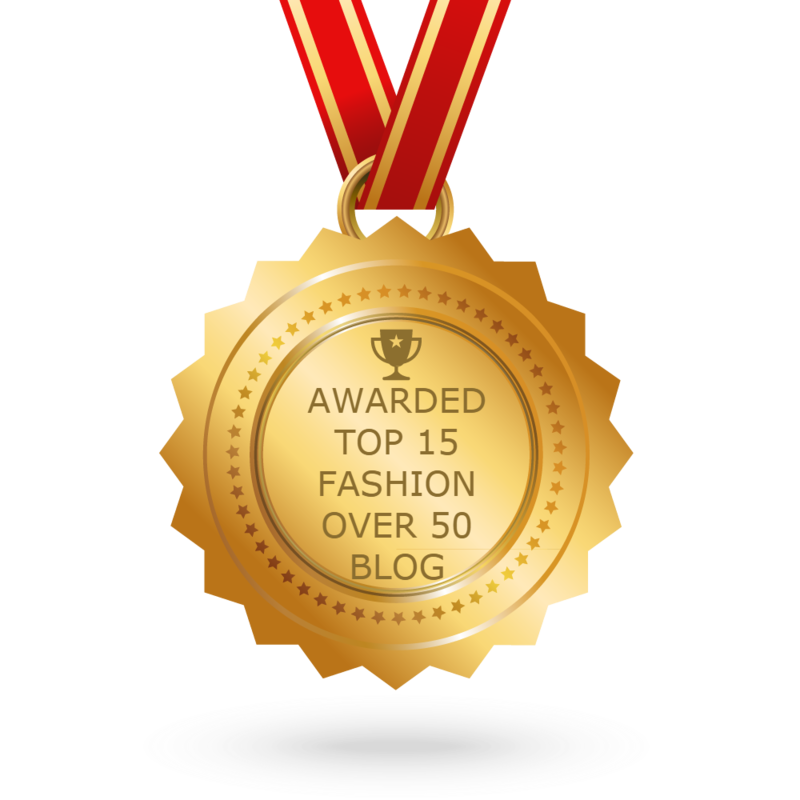 CONGRATULATIONS to every blogger that has made this Top Fashion Over 50 Blogs list! This is the most comprehensive list of best Fashion Over 50 blogs on the internet and I’m honoured to have you as part of this! I personally give you a high-five and want to thank you for your contribution to this world.